Recent preclinical data has implicated the α7 nicotinic acetylcholine receptor (nAChR) as a target in modulating nicotine reward. However, the role of the channel properties of the α7 nAChR in nicotine withdrawal is unknown. This study aimed to investigate the impact of α7 nAChR pharmacological modulation on mecamylamine-precipitated nicotine withdrawal behaviors in mice by using positive allosteric modulators (PAMs). The effect of the orthosteric α7 nAChR full agonist PNU282987 (1, 3, 9 mg/kg, s.c.), type I α7 PAM NS1738 (1 and 10 mg/kg; i.p.) and the type II α7 PAM PNU120596 (3 and 9 mg/kg, i.p.) on anxiety-like behavior, somatic signs, and hyperalgesia was measured in mice undergoing mecamylamine-precipitated nicotine withdrawal. Mice were infused with 24 mg/kg/day nicotine or saline for 14 days using s.c. osmotic minipumps. Nicotine withdrawal signs were precipitated upon administration of the non-selective nAChR antagonist mecamylamine (3.5 mg/kg, i.p.). Anxiety-like behavior in nicotine withdrawn mice was only attenuated by PNU282987 in a dose-related fashion. Somatic signs were reduced by PNU282987 and NS1738. PNU120596 was the only compound that reversed precipitated nicotine withdrawal-induced hyperalgesia. Taken together, our results suggest that modulation of the α7 nAChR can play important roles in mecamylamine-precipitated nicotine withdrawal behaviors in mice. 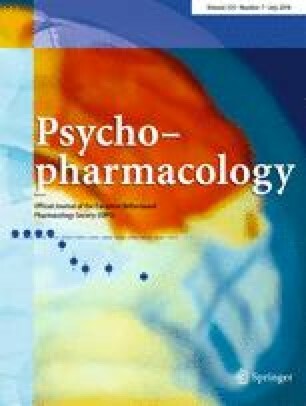 In addition, the effects of PAMs in this study suggest that endogenous acetylcholine/choline tone is sufficient to attenuate some aspects of precipitated nicotine withdrawal. These findings highlight a beneficial effect of using α7 nAChR PAMs in some aspects of precipitated nicotine withdrawal. Experiments were performed during the light cycle and were approved by the Institutional Animal Care and Use Committee of Virginia Commonwealth University and followed the National Institutes of Health Guidelines for the Care and Use of Laboratory Animals.